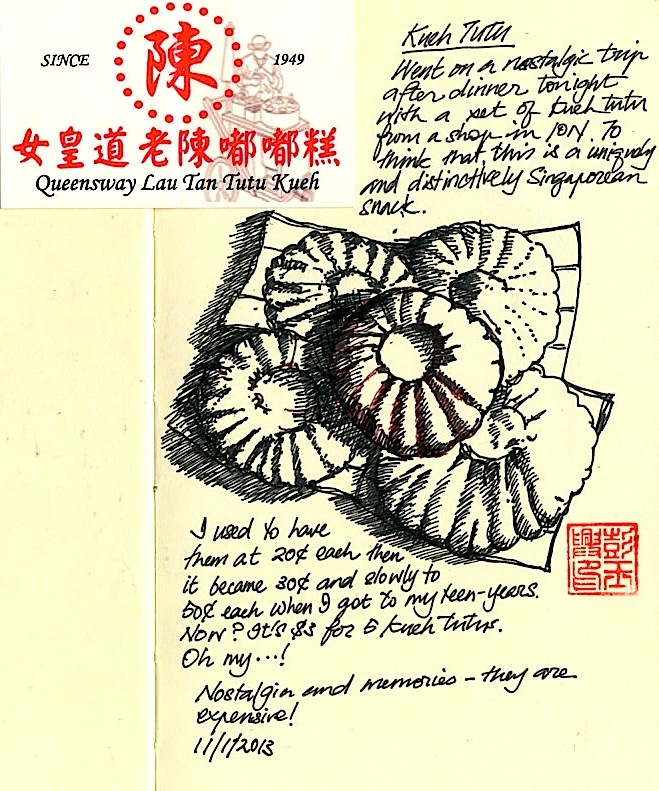 Kueh Tutu is a traditional delicacy and a uniquely Singapore dish that was invented right here. Made primarily with rice flour or glutinous rice flour, the light snack contains either ground peanut and sugar or shredded coconut as its filling. The typical method of preparation involves rapid steaming of the flour and the filling. Once ready, the Tutu is served on pandan leaves to add fragrance. I remember I used to have them at 20¢ each, then 30¢ each and by the time I was in my early teens, it was 50¢ each. Now? It's a whopping $3 for a set of 5. You do the math.